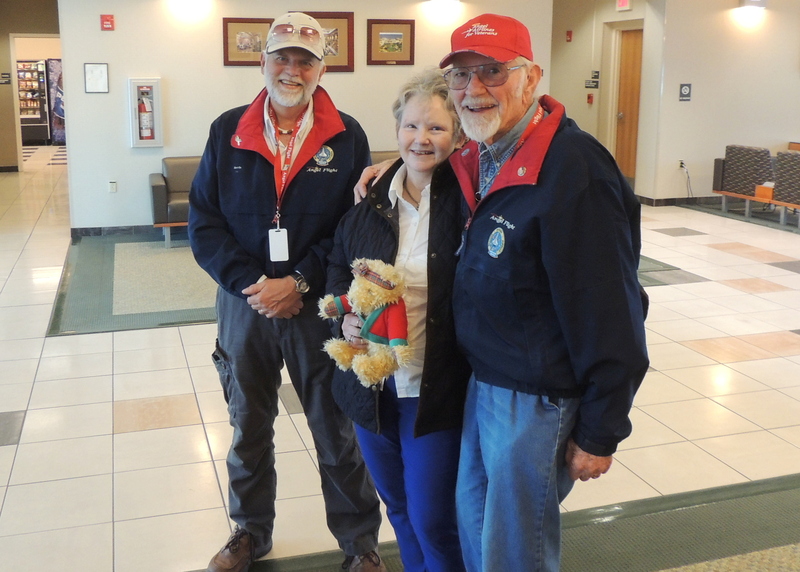 Todays Double Angel Flight Mission took us down to Richmond VA (Chesterfield County Airport) where we picked up our passenger Diana. From there we flew up to Baltimore MD (BWI) and waited while Diana had her Doctors appointment….. after Diana returned from her appointment we flew her back home to Richmond and then we returned back to home base Luray. On our arrival back to home base Luray we found the conditions much the same as when we departed 7 hours earlier….. low ceilings with a light chilly drizzle. After tucking 49Bravo back into her hanger we enjoyed a nice hot cup of hanger coffee along with some great conversation (We never seem to run out of things to talk about !) Then, after shutting the hanger door, we departed out on one of the most dangerous parts of our day….. the ride home (in low visibility and drizzle)….. we both feel much safer in the air than on the road in conditions like these ! We have flown Diana many times before and have another flight scheduled for her on the 20th…. Out total flight time for today was 4.8 hours with 2.8 of them being IMC (Instrument Meteorological Conditions) covering 501 nautical miles over 2 States and all four landings required Instrument Approaches. Thanks for viewing and feel free to leave comments……. we love them ! How close where you to that Southwest plane? Can you email me the picture of your plane with the “rainbow and the Southwest plane. I enjoyed the approach into Richmond. You only had about a 600 foot ceiling. Enjoyed following your flights. Lovely landing…who was flying, Nevin or John? Barbara B.